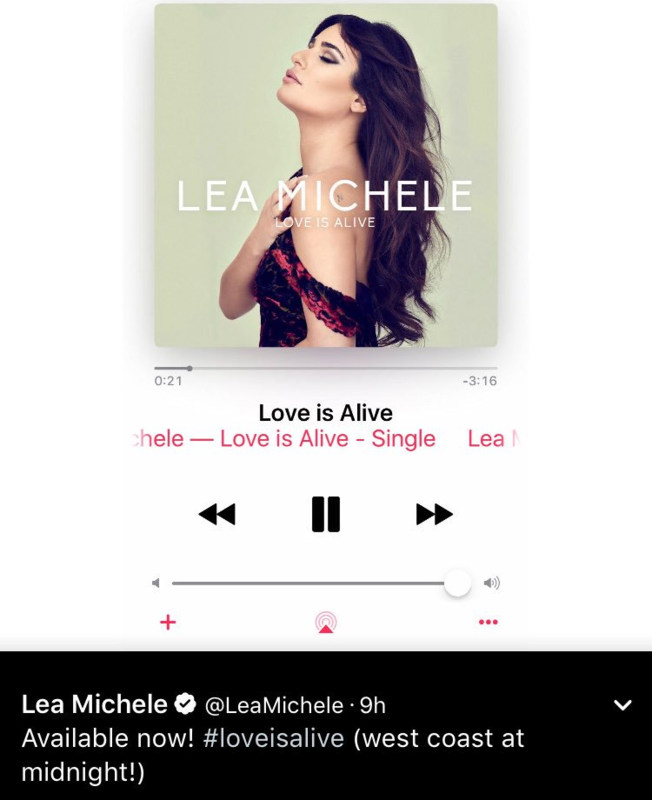 Listen & Download: Lea Michele's new single 'Love Is Alive' is out now! 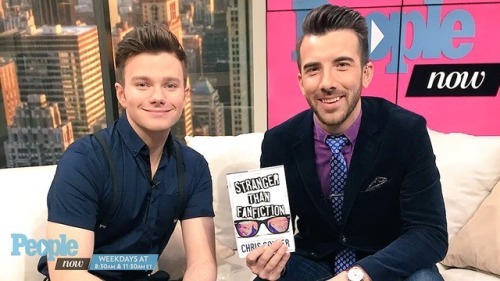 Chris Colfer's letter to fans on the release of "Stranger Than Fanfiction"
I hope you enjoy my latest YA novel, Stranger Than Fanfiction. It features a group of friends who are faced with big life choices and powerful secrets—each one distinct in his or her own way, much like the amazing fans I’ve met in my travels. I don’t think it will shock anyone when I confess that my own “coming of age” years were different than most American teenagers. Being plucked from a conservative small town and thrust into the spotlight of a hit television show introduced me to unique challenges, privileges, and insights. Those experiences have given me a great opportunity to bring an unusual perspective to YA fiction—and I couldn’t be more grateful for the chance! 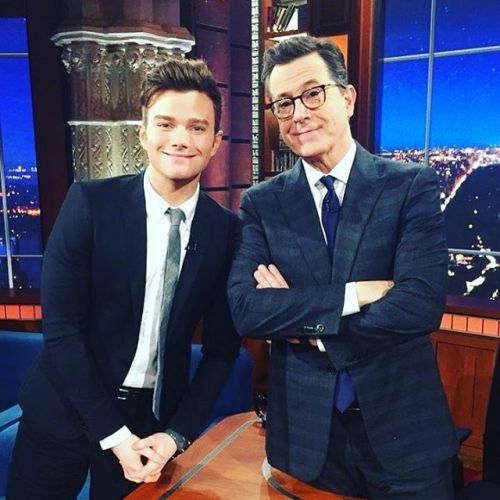 "Was too busy promoting #StrangerThanFanfiction last night to mention my undying love for #StrangersWithCandy @colbertlateshow"
"@JeremyParsonsTV Today @chriscolfer has a new book & new details about future show #Indigo! Plus a #Glee #TBT On #PeopleNow STREAM http://wp.me/p7B0Rg-l20A"
"I guess I didn’t really think I had a good voice because I think—on the show [“Glee”], my character’s always made fun of for singing and always had to compete with, you know, really powerful female performers. 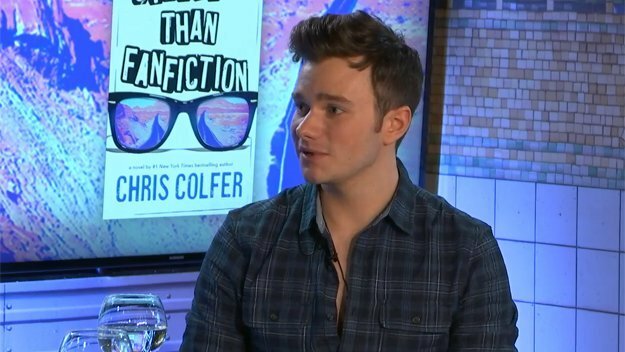 So I guess I just got a little self-conscious, I thought, “Oh, well, I’m not that great of a singer if there’s always being a joke made out of it.”"
"I’ve waited until the release of this book [“Stranger Than Fanfiction”] to let people know this, but I was actually an avid fanfiction writer when I was a kid. […] I wrote a screenplay for a “Xena: Warrior Princess” movie, I adapted “Wicked The Musical” to a screenplay, and I wrote “Candyland The Musical.”"
"I’d like to thank Rob Weisbach, Alvina Ling, Alla Plotkin, Melanie Chang, Megan Tingley, Derek Kroeger, Will Sherrod, Heather Manzutto, Rachel Karten, Nikki Garcia, Jerry Maybrook, Joey Garcia, Kheryn Callender, Collyn Dungey, Fox Benwall, Jen Graham, Karina Granda, Ruiko Tokunaga, and all my friends and family. And, of course, to all the writers of fanfiction my likeness and I have had the privilege of being included in. Thank you for the inspiration…and for describing me with abs." Darren Criss is joining the nicest kids in town. The Glee alum has been tapped as the multiplatform host for NBC's live telecast of Hairspray Live!, Mashable has exclusively learned. The uplifting musical comedy delves into the issues of racial segregation in Baltimore in the 1960s. The live TV production will air on NBC on Wednesday Dec. 7. Newcomer Maddie Baillio has been tapped to play the lead role of Tracy Turnblad. Other cast members include Jennifer Hudson (Motormouth Maybelle), Ariana Grande (Penny), Kristin Chenoweth (Velma Von Tussle), Martin Short (Wilbur Turnblad), Harvey Fierstein (Edna Turnblad; he is also one of the show's writers), Derek Hough (Corny Collins), Sean Hayes (Mr. Pinkie) and Rosie O’Donnell (gym teacher). Throughout the night, Criss will give fans on digital platforms behind-the-scenes access to the show and check in on live '60s-themed viewing parties around the country. He will interact with social media influencers, do live on-air and Facebook check-ins, engage with the live audience, create content from behind the scenes and post to social during the live show. He will also appear on “The Countdown to Hairspray Live!” special, hosted by Chenoweth and Hayes. NBC said Criss, who most recently was seen as Hedwig on the national tour of Hedwig and the Angry Inch, was a perfect fit for this role. "We wanted someone with substantial musical theatre background and broad appeal to be our eyes and ears into the excitement of the show, and the incredible machinations going on backstage to make it happen," Rob Hayes, EVP Digital at NBC Entertainment, told Mashable in an email interview. "Darren is just coming off a run as the lead in Hedwig and the Angry Inch in San Francisco and L.A., and had a prior relationship with Craig and Neil the producers, as well as a lot of credibility in both TV and theatre. He’s also extremely charismatic and has done some hosting work before." This is the latest effort from NBC to give its live musical telecast more life on digital platforms. Already, the network created a special Snapchat filter for the event. Hairspray Live! 's digital companion show will feature 35 unique camera angles of what’s happening behind the scenes of the big broadcast as it happens, special access to the cast for their take on making this live spectacle come to fruition, fun facts about all things Hairspray and other digital extras to enhance the viewer’s experience. "The digital presence is a natural extension to watching the live show to the digitally native audience"
"In creating a live national moment like Hairspray Live, the logical place to go to propel that is to give people every possible way in to share that moment in real time," Hayes said. "With the advent of multi camera streaming, we really can give the viewer eyes and ears into the production in a way not previously possible, even a year ago. The digital presence is a natural extension to watching the live show to the digitally native audience."